Housekeeping note: I’m still working on figuring out how I want to blog about my knitting projects and how I want to organize those posts. I might make separate tabs for knitting posts at some point, but for now they’ll be in my regular blog. The Tichel Warmer is the perfect solution to the hat condundrum because it can wrap around multiple scarves without messing them up. There are a lot of knitted winter headbands on the market, but they aren’t big enough to go over a scarf or two or three. So I designed a headband that does just that :). 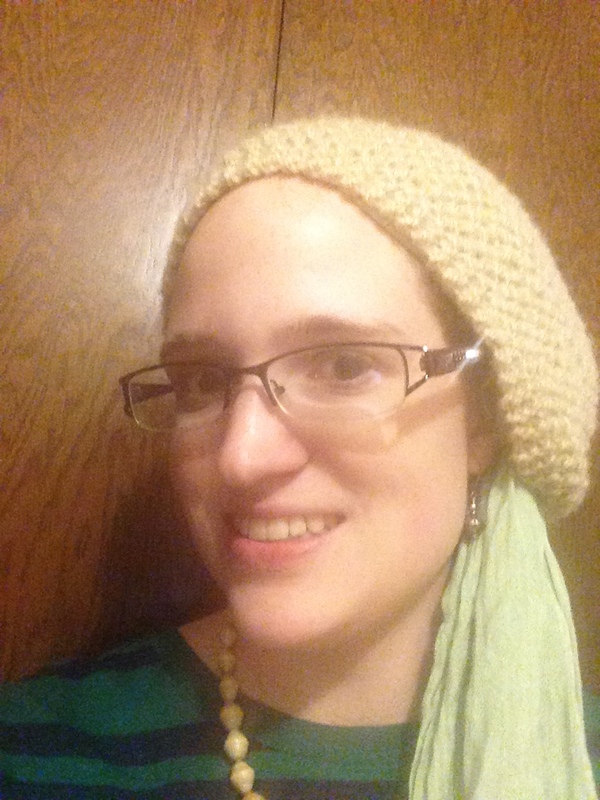 This is the beige tichel warmer that I wear on days I am not covering with a beret. 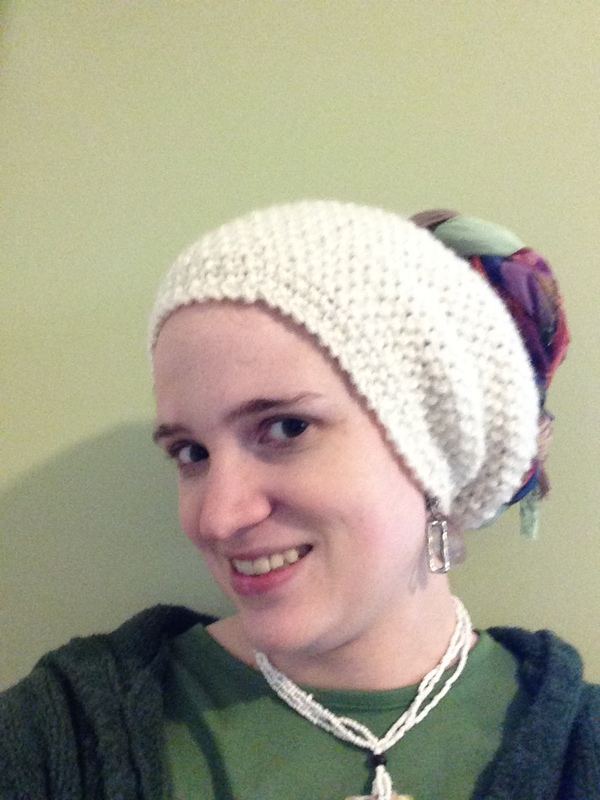 To purchase tichel warmers in my Etsy shop, click here. Stay tuned for more color choices!